Cooke Fuels › News › Biodiesel – Is it Really a Green Fuel? Biodiesel – Is it Really a Green Fuel? With green initiatives everywhere, we are more frequently being faced with a choice between cheap and sustainable. But if you’re looking for a cleaner, greener future, biodiesel is the only environmentally-friendly alternative to fuel for you. 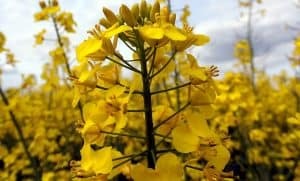 It’s renewable and made predominantly from vegetable oils, so it doesn’t seem surprising that the EU is the largest producer and consumer of the biofuel – with a market share of almost 3% of the German diesel fuel market. Even the big airline companies are utilising its advantages and slowly introducing them into their energy supply. Before the widespread popularity of petroleum diesel, Rudolf Diesel, the inventor of the diesel engine, experimented using vegetable oil (biodiesel) as a fuel in 1987. Initially, only small amounts were used in the United States, but since 2001, its consumption has increased hugely as a result of its government incentives to be produced and sold. Around 1 billion gallons of biodiesel are now produced each year and it’s now one of the most popular fuels in Europe. Unlike red diesel which is illegal to use in on-road vehicles, a lot of new vehicles, particularly in the transport and public transport sectors, are now able to use blends of bio-diesel with normal road diesel. Though be sure to check with your manufacturer first! Biodiesel is produced through a chemical process called transesterification using methanol to separate glycerine and methyl esters from vegetable oil and animal fats. This generates minimal waste because of the many uses glycerine has e.g. in soaps. It’s biodegradable and less toxic, meaning fewer pollutants are produced when burnt – and what’s more, it’s fully degraded from a waterway environment within 28 days! With a flash point that’s considerably higher than petroleum-based diesel fuel, it’s also less of a fire hazard. With a 70% reduction of carbon monoxide emissions compared to standard petroleum-based fuels and a virtually sulphur-free composition (0.001%), biofuel is as clean as fuel gets. In the event of an accident, there’s no hazard to soil or groundwater. Biodiesel has transpired as a great alternative to mineral diesel and is fast becoming a huge driving force in the world’s aim to reduce greenhouse gas emissions. As one of the leading suppliers of fuels and lubricants across the UK and with over 70 years’ experience in the industry, we are better placed to offer you biodiesel at the best price. Our biodiesel is blended and tested by our experts in-house to ensure the highest quality on the market. From 10,000 to 36,0000 litres, we offer same day or next day delivery for when you find yourself in an emergency.